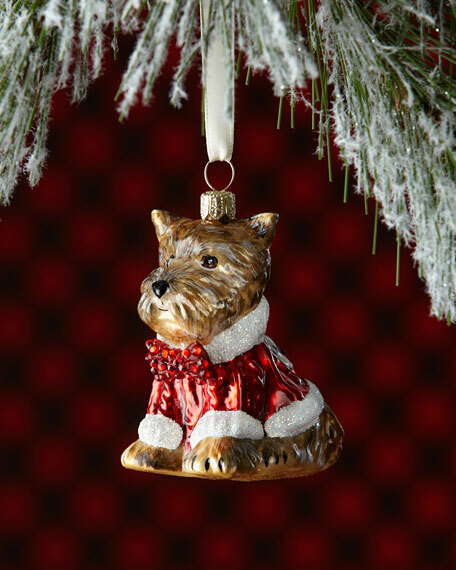 Dog breed ornament, handcrafted of blown glass with crystal accents. Yorkshire terrier in candy cane sweater with blingy collar. Please note: Ribbon not included with this item.